Once upon a time, there were lots of soap operas on the networks’ daytime schedules. 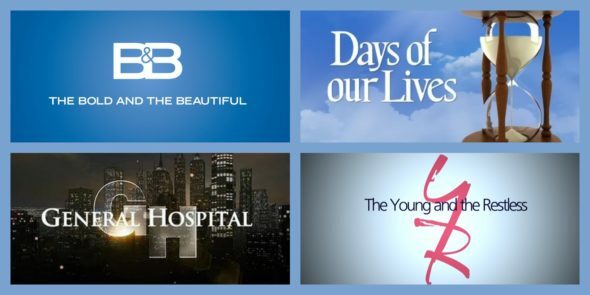 Most were cancelled over the years and only four remain — The Bold and the Beautiful (CBS), Days of Our Lives (NBC), General Hospital (ABC), and The Young and the Restless (CBS). How long will these four survive? That will likely have a lot to do with the ratings. Stay tuned. Note: Each network measures its own programming’s success separately. Still, it’s fun to see how the four remaining soap operas rank against each other. Season-to-date averages are compared to previous season averages. Raw data courtesy Soap Opera Network. I think GH is finally getting back on track. Steve Burton is the man, although BM has done a good job it hasn’t been the same. Kudos to the writers who finally figured this out. Now maybe Nicholas, Robyn and of course Patrick would be a great cast to work with & bring the show alive. I have watched GH since the beginning. At this time I have fallen on hard times & living in my car, alot of. Rying, however GH makes me escape for an hour, so I thank you. Keep going GH I live the SB addition. I love days of our lives! Have been watching for over 40 years and yes while the story line is boring sometimes, it is still the best soap ever!